Tendayi Darikwa is urging his team mates to draw a line under the defeat to rivals Preston North End in a bid to embark on another unbeaten run. 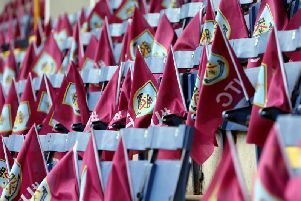 The Clarets were subjected to their third defeat of the campaign as the Lilywhites ended a nine game stretch without a loss at Turf Moor. Sean Dyche’s side had accumulated 19 points from a possible 27 since the reversal against Reading on home soil, but goals from Will Keane and Daniel Johnson gave the visitors the points in the 135th meeting between the two clubs. “It’s obviously disappointing to lose the game; it’s disappointing to lose any football match particularly after the run that we’d been on and at home in front of our fans in a local derby,” said the former Chesterfield defender. “I think for the first 15 or 20 minutes it’s one of the best we’ve played all season but unfortunately we couldn’t take our chances to punish Preston. They took their chances in the end. The 23-year-old full back added: “It’s disappointing not to score in any game. I thought we had a few chances but at the same time if you’re not scoring you’ve got to try and keep a clean sheet. We didn’t do that today which is disappointing but we have to move on from that. After losing to Ipswich Town early in the season the Clarets responded by taking 13 points from five outings. And, having performed similarly after defeat to the Royals, Darikwa believes the Clarets will show the same character to bounce back. “We need to dust ourselves down now and get ready for the weekend away at QPR,” he said. “We’d been on a good run but hopefully we can go on another one now starting with QPR which will be a tough game away.